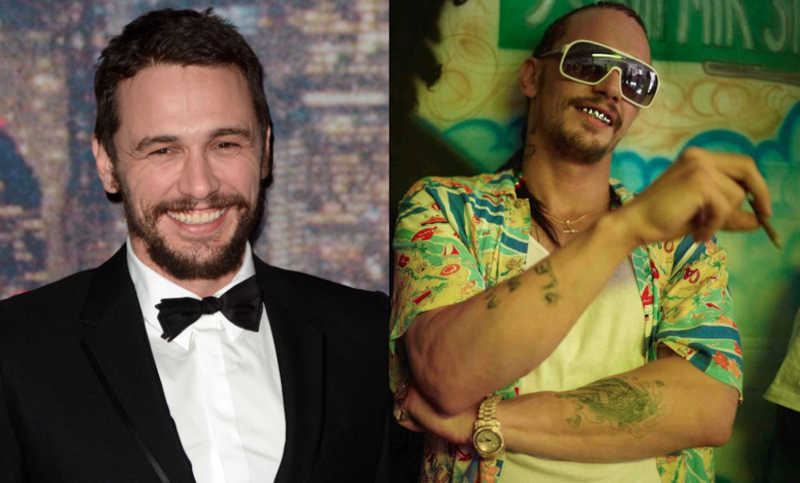 To play the freaky, gun-toting pimp Alien, Franco had his hair braided in corn rows, added a silver grill to his teeth and donned lots of tattoos. 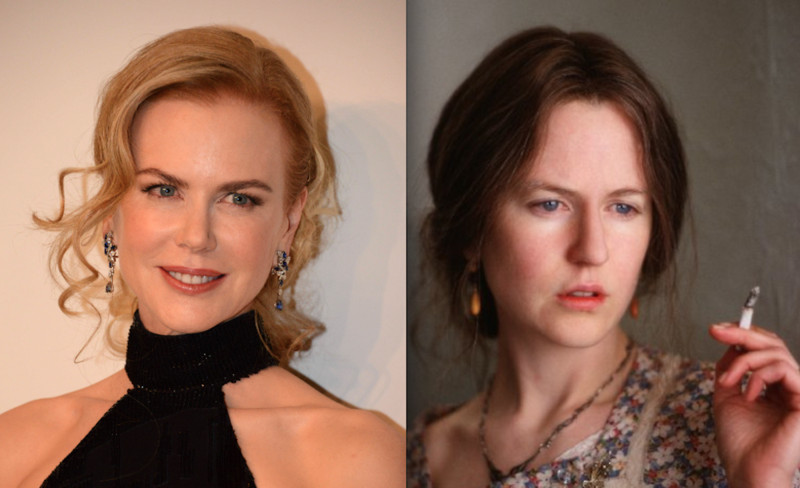 Darkening her flame-red hair and adding a prosthetic nose helped Nicole Kidman win the Oscar for Best Actress in a Leading Role for her role as Virginia Woolf in The Hours. 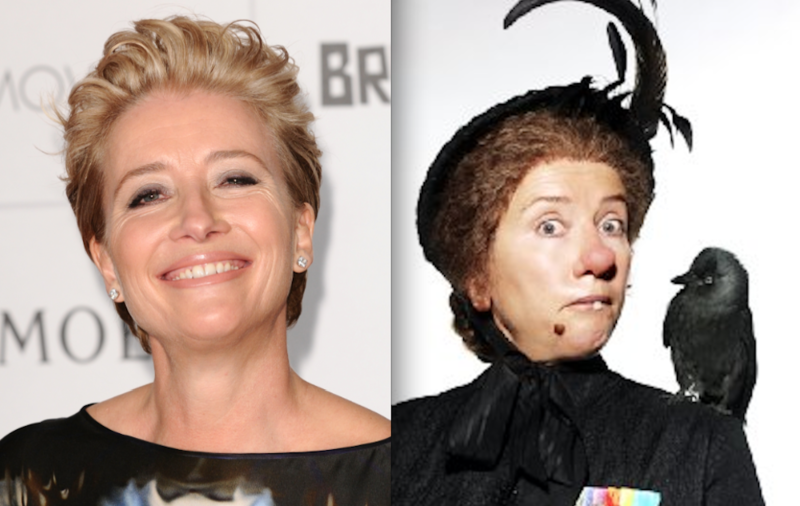 The endlessly talented Emma Thompson had no problem adding a bulbous nose and giant mole to play Nanny McPhee. 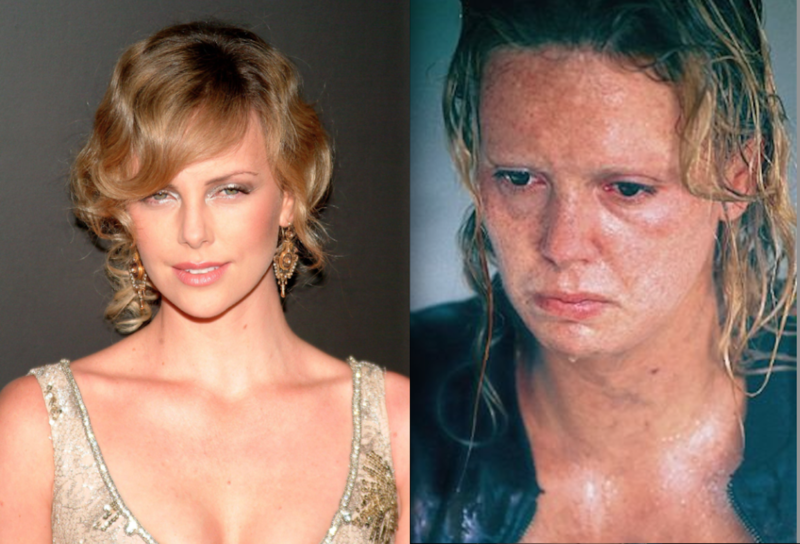 To play the real-life serial killer Aileen Wuornos in Monster, Charlize Theron gained 30 pounds. She earned the Oscar for Best Actress in a Leading Role in 2004. 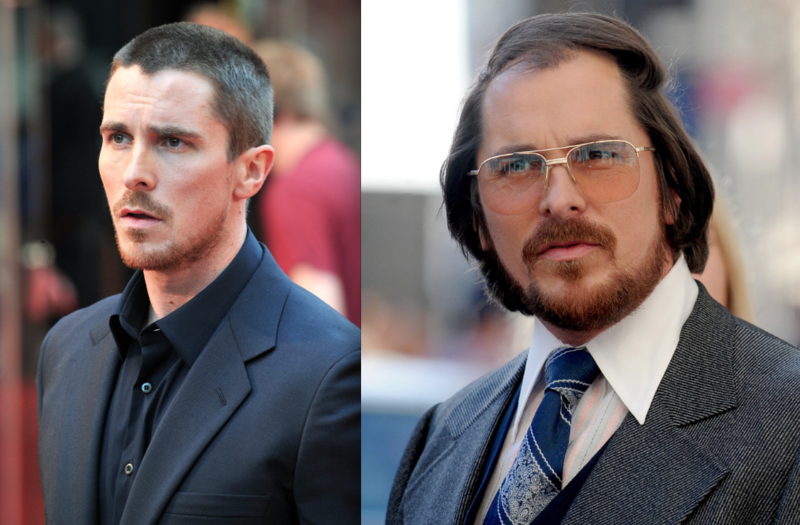 Christian Bale gained more than 40 pounds to play Irving Rosenfeld in American Hustle, but his slouching posture caused two herniated disks in his spine. He also shaved the top of his head to create a comb-over look. Bale was nominated for an Oscar but lost to Matthew McConaughey. 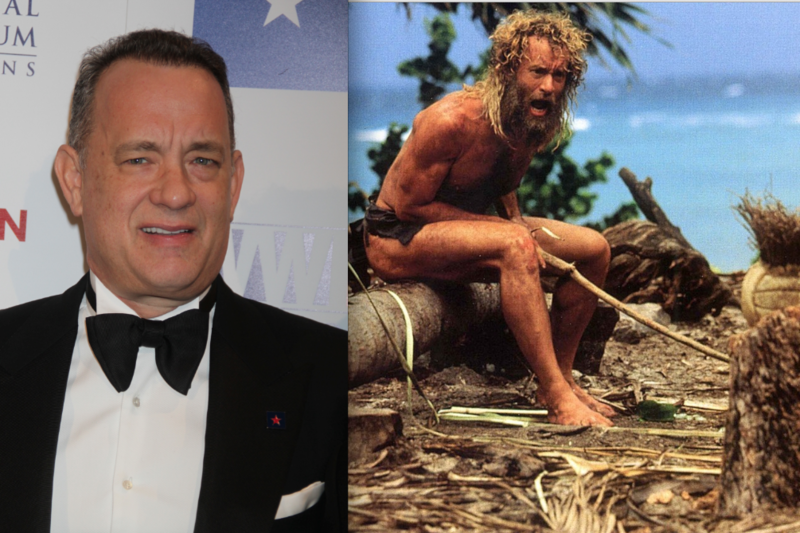 Tom Hanks lost over 50 pounds to play the starving Chuck Noland (Cast Away), who was lost on a deserted island. Though Hanks was nominated for an Oscar for Best Actor, he lost to Russell Crowe for his role in Gladiator. 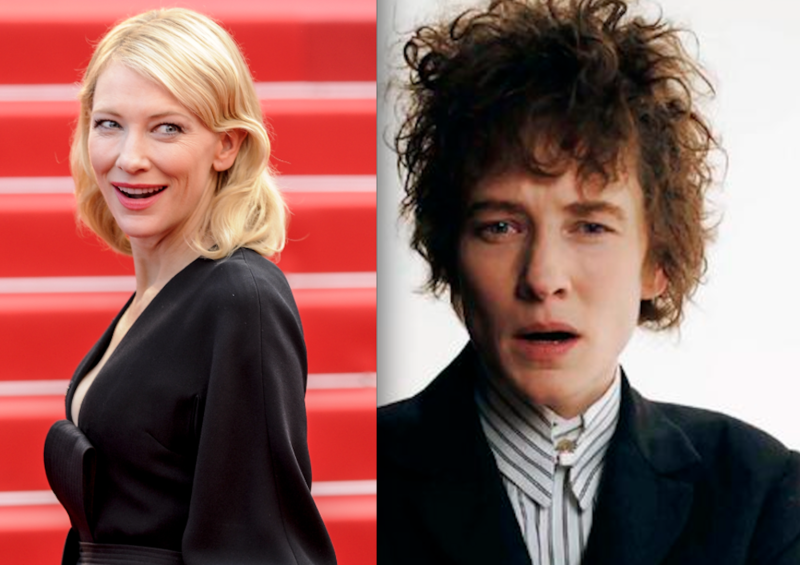 Cate Blanchett reportedly stuffed a sock in the crotch of her pants to “walk like a man” while playing Bob Dylan. After a five-year break from acting, Jared Leto lost 30 pounds to play Rayon in Dallas Buyers Club. 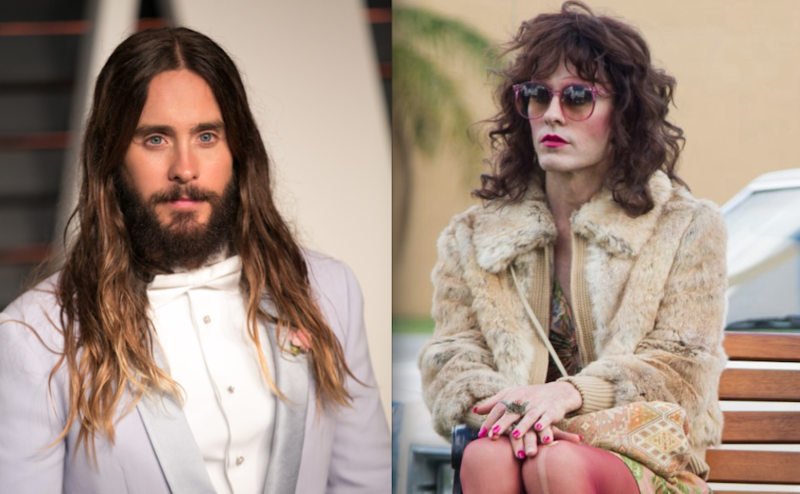 He stayed in character in between scenes and even shopped at Whole Foods Market dressed as Rayon. The role earned him an Oscar. 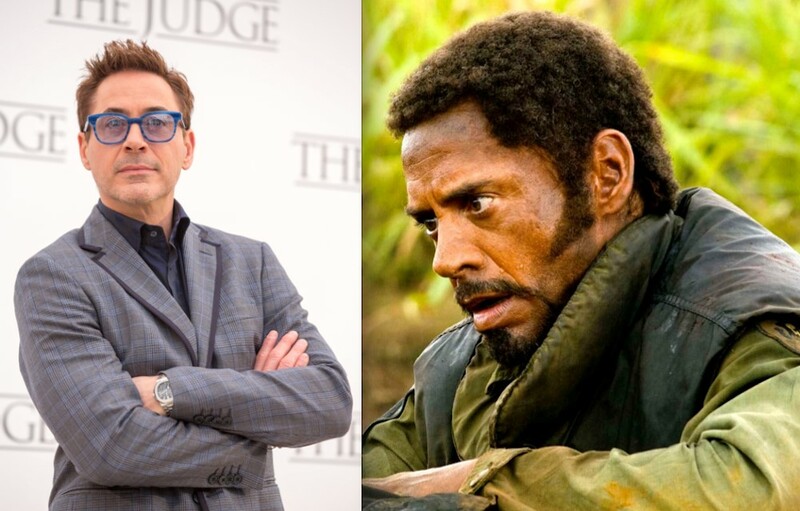 Robert Downey Jr. was hesitant to play the role of Kirk Lazarus in Tropic Thunder because he worried about appearing in blackface. 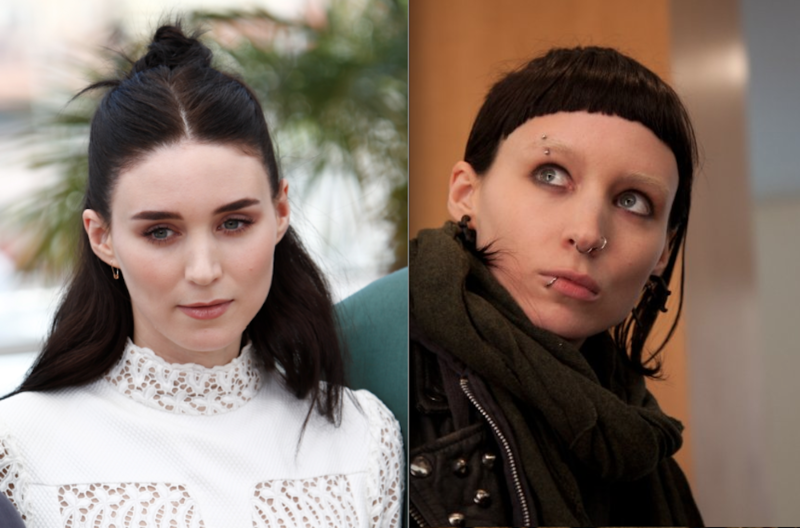 He decided to take the risk after being encouraged by Jack Black and Ben Stiller. Eddie Redmayne lost 15 pounds to play Stephen Hawking in ?The Theory of Everything and also trained with a dancer to control his body movements. Because he remained hunched over and motionless for so much of the shoot, he inadvertently altered the alignment of his spine. “I fear I’m a bit of a control freak. I was obsessive. I’m not sure it was healthy,” Redmayne said. He won an Oscar for the role. Eddie Redmayne felt very self-conscious when donning a dress for the first time, saying, “That was incredibly nerve-racking, and yet it must be nothing like what it’s like for a trans woman the first time she goes out.” The Danish Girl opens Nov. 27. 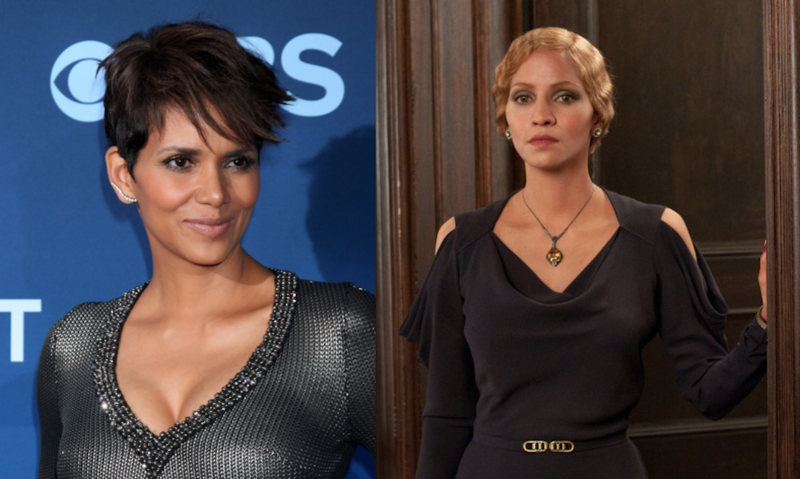 To play Jocasta Ayres in Cloud Atlas, Halle Berry had to wear a prosthetic nose, green contacts and a strawberry-blond wig. Her skin color was altered by a team of makeup artists and special effects designers. 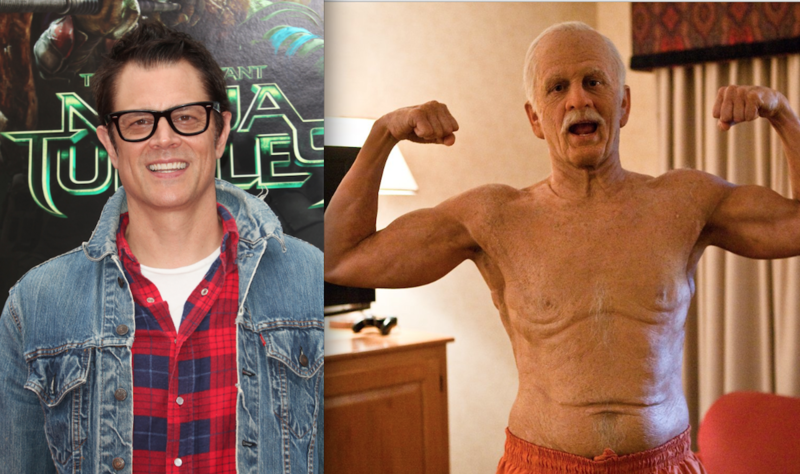 Johnny Knoxville had to sit in the makeup chair for three hours every day to transform into Irving Zisman in Jackass Presents: Bad Grandpa. It took five hours to prepare for the scenes where he appeared shirtless. After breaking her self-imposed rule of not playing witches, Meryl Streep had to wear a prosthetic nose and chin along with a crazy blue wig to play The Witch in Into the Woods. 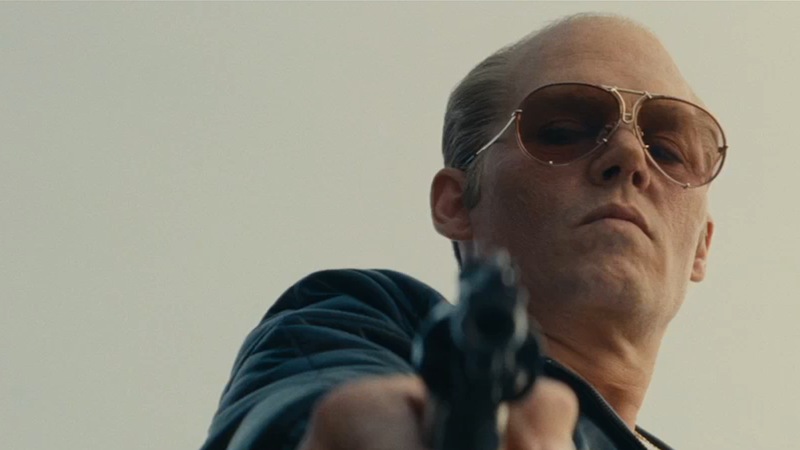 Johnny Depp was very concerned about looking Irish to play the criminal Whitey Bulger in Black Mass. Makeup designer Joel Harlow, who’s worked with Johnny Depp before, said, “He’s got a prosthetic that goes from his cheeks and the bottom of his nose to the middle of his head. His eyebrows were covered so they are false eyebrows. Each hair was individually punched into the prosthetic each time before it was put on.” The blue contacts Depp wore were hand-painted to give his eyes a piercing look.